I sew handmade this + that. I know that sounds like a pretty broad term, but that’s the best way for me to sum up what I make!! 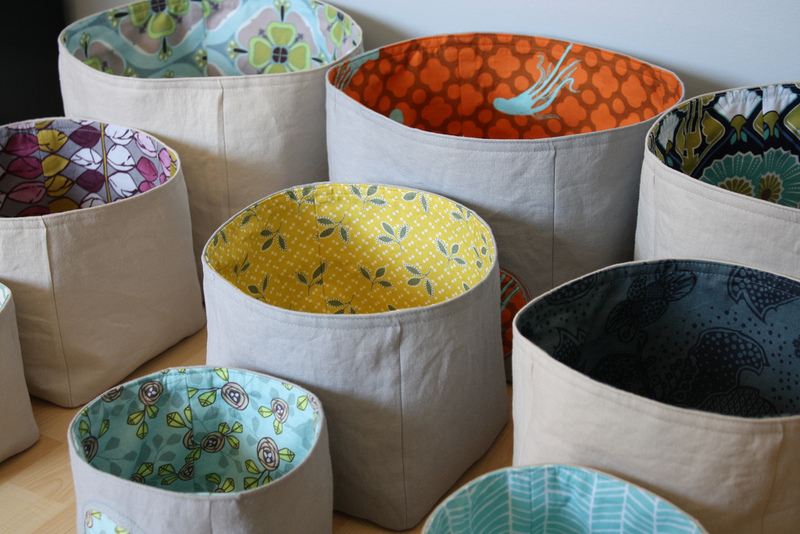 I make fun tote bags and fabric buckets for adults and for children. 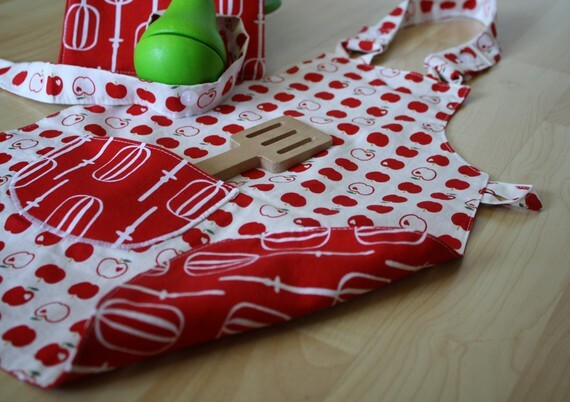 I make many different accessories for babies + tots, including cloth play blocks, wee chef apron sets, and cozy blankets. 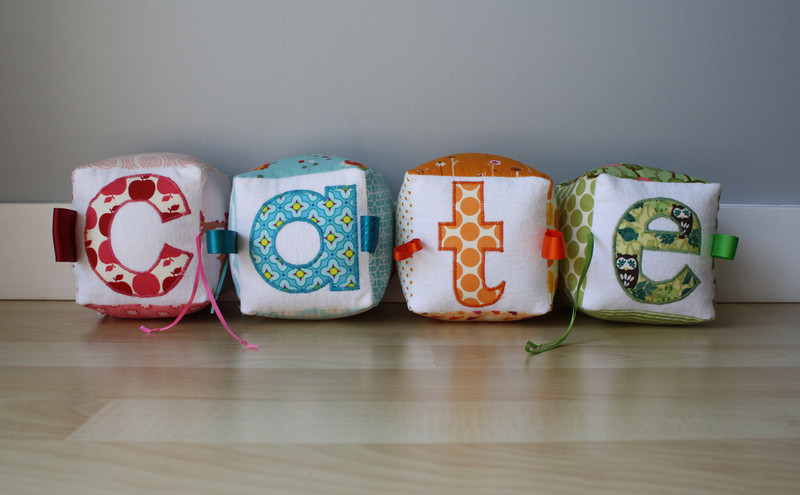 Many of my items can be personalized with a child’s name or initials. I am also planning a line of housewares which I hope to introduce fairly early in the new year. I am inspired by so many things. We’re pretty lucky to be surrounded by some amazing scenery here in Vancouver, and I find the colours of the seasons very inspiring. My family is a great source of inspiration. My two kids are super fun and energetic, and watching them learn and grow inspires me to make new, fun things for children. My husband is an incredible artist, and i love seeing the new art that he produces, kind of keeps me on my toes! Finally, I’m inspired by the amazing fabrics that I choose. The vast array of colours + designs are amazing, and I love mixing patterns in different and unexpected ways. Well, I’ve always been a creative person. I’ve loved drawing for as long as I can remember, and my mom taught me to sew when I was quite young. I always took art class in school, and also loved woodwork and pottery. Working with my hands is essential. After a few false starts in my post secondary education, I ended up taking an architectural drafting program at BCIT, and fell in love with the detailed and technical side of art. I worked in the industry for a couple years before I had children. When my son was born almost 5 years ago, I stopped working for others and turned my creativity back to myself. I started off making greeting cards and tags out of cut paper, combining collage and paper quilling. i loved doing that, but it was rather time intensive. I bought my first sewing machine when my son was about 1, and I haven’t looked back. Someday I hope to introduce a stationery + paper goods division to smidgebox designs, but for now, sewing is keeping me very busy!! I am a self-professed fabric addict. I can still remember when I first discovered the world of designer cottons online, and I was instantly hooked. I have a pretty healthy stash going on, and it’s all I can do not to buy more and more. 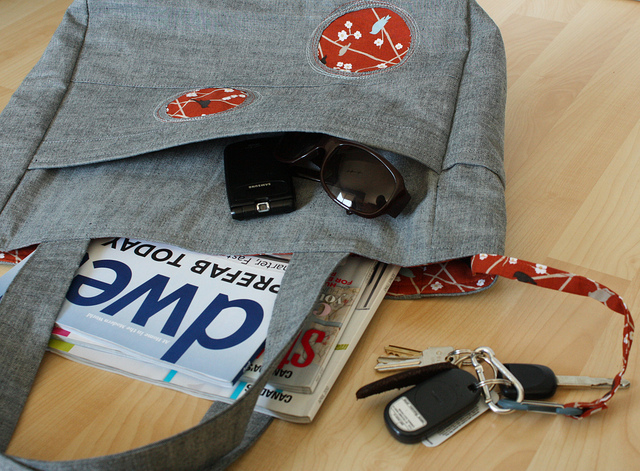 I love mixing fun designer cottons + japanese import fabrics with denim + wool felt. What is the hardest and favourite part of crafting? The hardest part for me at the moment is that I have way too many ideas and designs floating in my head, and yet I haven’t even got a fraction of the time I’d need to pump it all out. I love being able to be at home with my kids, and am trying to enjoy every moment of that before they are both off to school. Time sure flies. 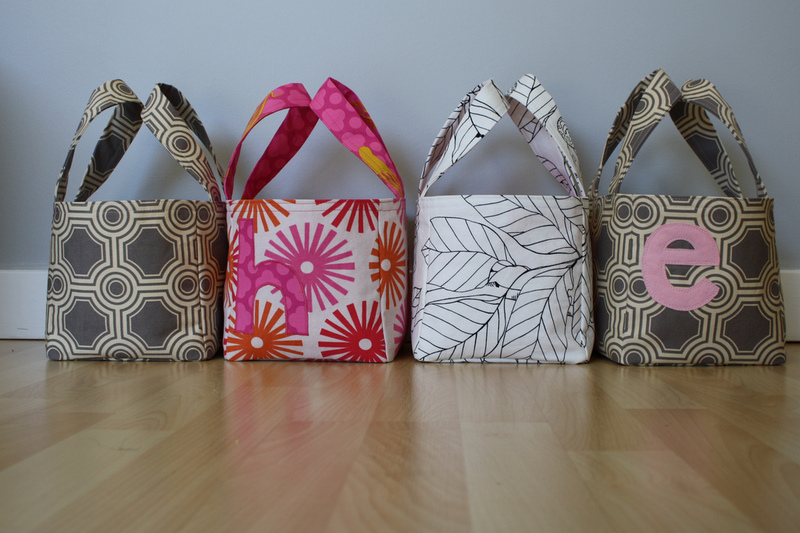 My favourite part of the crafting process is seeing a final product realized in my hands. But the best feeling has got to be getting wonderful feedback from a super happy customer, or seeing people’s faces light up when they receive one of my items as a gift for their baby or for themselves. That is pretty great.